Being a special needs parent is not easy by any means. We face daily struggles that most parents could not begin to fathom. We live in a world that caters to neurotypical people, therefore leading us to always have to fight for our child’s rights. Most days we feel like we are living in the middle of a huge storm that will not stop. The storm follows us everywhere and controls our life. The battles that we deal with each day during the storm are never-ending. The battles we fight with our children leave us absolutely exhausted both physically and mentally. I do believe every parent of a child with autism can admit that they “pick and choose” their daily battles. Before we know it, our lives revolve around speech therapy, occupational therapy, physical therapy and applied behavior therapy. Our daily choices revolve around our child. We have much more to think about before planning or attending any type of event, even if it’s an event for Autism Awareness. This all leads to trying to explain to family members and friends why we can’t attend or why we have to leave before the event even starts. The struggles are there daily and, unfortunately, they never go away. The storm is here to stay. In the midst of all the turmoil and struggles in our storm, there is joy and reason to smile. 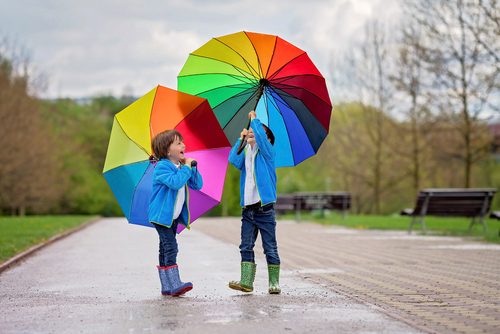 We must learn to brave the storm that we are in and dance in the rain. I am by no means one of those parents who claims that they wouldn’t take autism away from their child if they could. I admit that I most definitely could, if that was possible. Yes, autism helps define who my child is, but what parent wants to see their child struggle in life because they are non-verbal and can’t communicate? It hurts to see my child have to spend his whole childhood in countless therapies. It is beyond painful for me and my child to spend our nights awake because he doesn’t sleep. The list of the struggles that autism leaves us with could go on and on. So yes, I would take it away if I could! However, we all know that that is impossible. Even though I can’t take it away, I can help ease my children’s struggles in many ways. I can be there for them when they need me. I can sacrifice for them because they know all too well what it is like to live in a world that does not adapt to their needs very well on most occasions. I can show them my unconditional love each minute of their life. I can be what they need me to be for them and I can’t do that without finding the pure joy in every occasion. I can be their voice during our never-ending storm. I can’t be who they need me to be without learning to dance in the middle of it. Don’t get me wrong. I have moments when it is hard to find joy, especially when the day was spent dealing with meltdowns and heartache for the majority of it. It is hard to find the joy when you are so sleep deprived you don’t even feel “normal.” Nonetheless, if you can find some kind of joy and happiness in each and every day, you will be amazed at how much brighter you can make your journey during your storm. Even if it is a few minutes of eye contact for the day, embrace that moment! We know all too well that we have no idea when that next moment will be. It may be the simple way your child touches you. 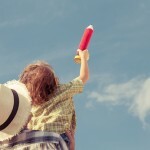 There is something each and every day to praise your child about and to be joyful for! 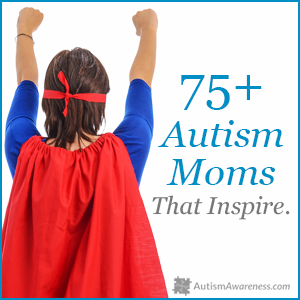 As autism parents, we have learned to celebrate and appreciate the little things in life. We have to hold onto those little things and not lose hope. We have to dance in our storm and make the best of it. 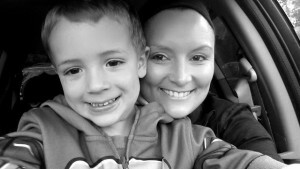 Angela and her family reside in Terre Haute, Indiana, where they moved to get more help for her son with severe autism. She was born and raised in a small town in southern Illinois where her love for animals and helping others blossomed. 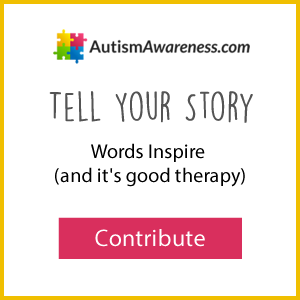 She enjoys sharing the honest and real side of autism through her writing. Her writing may not apply to every family with a child with autism, but it is sure to apply to the families raising children on the severe end of the spectrum. To read more of Angela’s journey please visit her website or like her Facebook page. 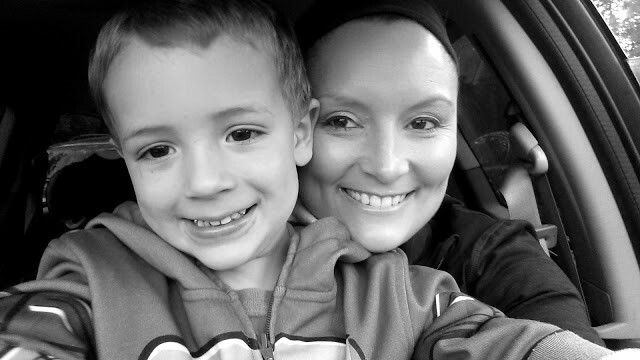 Angela Conrad is a freelance writer, mom to two boys on the autism spectrum, determined autism advocate, and fun-loving person. When she is not doing her advocacy work, she can be found managing her son’s therapy schedules and all the other crazy things that life brings. She enjoys reading, exercising and helping others. 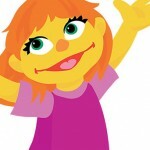 Sesame Street Introduces Julia – a Muppet with Autism. The Right Place. The Right Time.